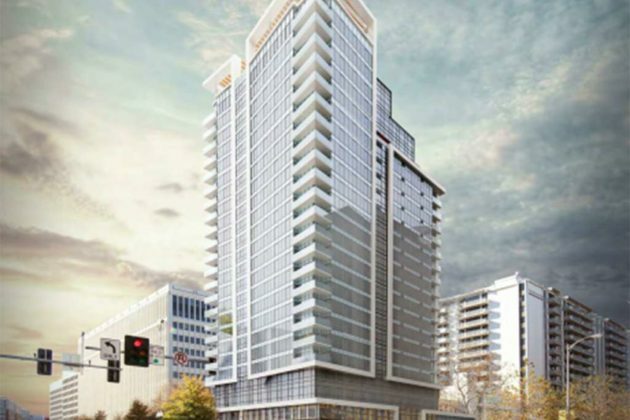 A 22-story apartment building could arrive soon in Crystal City at the Century Center office and retail complex. The building, with the address of 2351 Jefferson Davis Highway but located at the intersection of Crystal Drive and 23rd Street S., is set for 302 apartments on top of a podium of the existing two-story retail space. 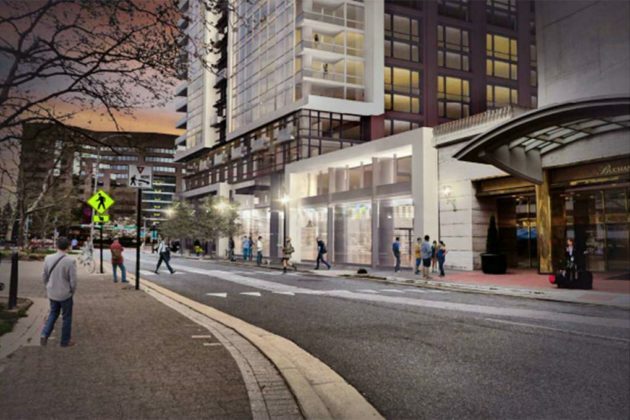 The Arlington County Board is set to vote on the plan by developer Lowe Enterprises on Saturday (July 15). The building would have more than 330,000 square feet of floor space and be 270 feet tall, with a total of 242 parking spaces provided for residents. An existing shared garage with a nearby office building will provide another 100 spaces for retail customers. 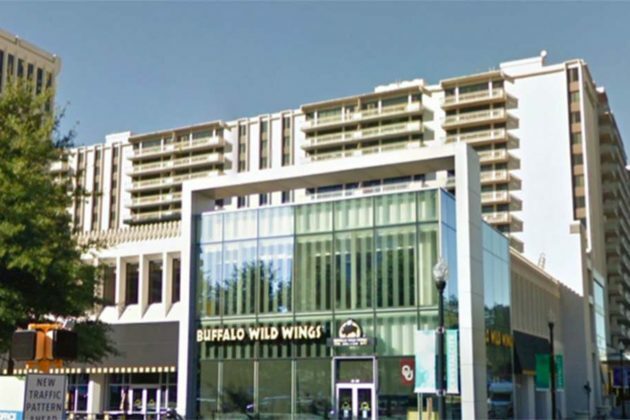 The new building would be built above existing ground-floor retail, including California Tortilla, Buffalo Wild Wings and Mezeh Mediterranean Grill. The existing retail tenants are expected to stay in the property after the project is complete. Plans also contain provisions for retail and food service kiosks along with a Capital Bikeshare station. It also would reconfigure the eastbound lanes of 23rd Street S., including removing one lane, in keeping with the goal of making it a pedestrian-oriented street. In a report on the project, county staff recommended approval, including of a proposal to rezone the property to the Crystal City Mixed Use District. The plan had been set for discussion at May’s County Board meeting, but was withdrawn at the applicant’s request.